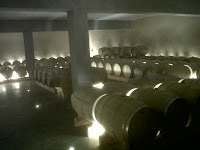 The 2009 barrel element of our Grand Chai Bordeaux was racked from barrel last week to our ‘NASA’ vat in the Dordogne. The conical vat shape has proved its worth as the sediment has settled out beautifully and thinly on the wide vat bottom, ready for today’s early morning transport to the bottling plant. 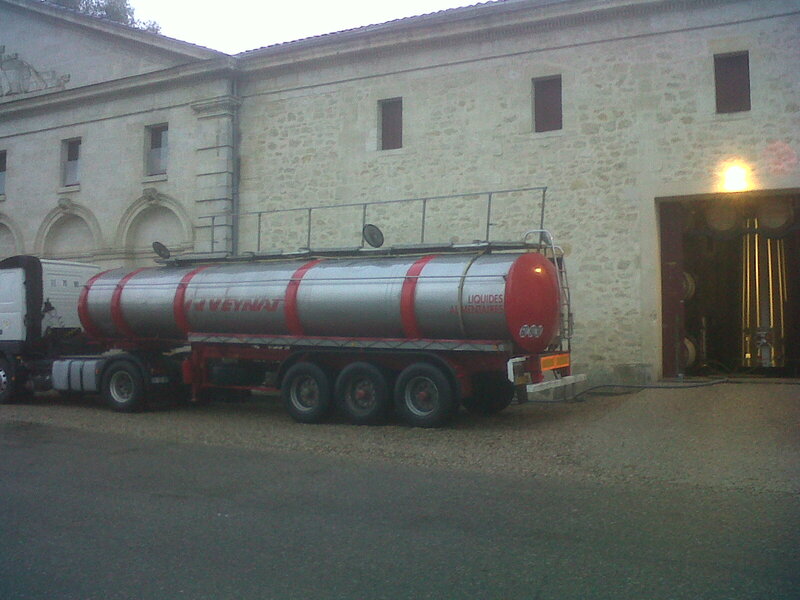 Petit Denis filled the two individual tanker compartments with CO2 to protect the wine whilst filling and the loading began. I then followed the tanker to the bottling plant to ensure a safe transport and, most importantly, a perfect unloading at the other end. During the week the other elements will join this part of the blend and I will make the final blend on Thursday ready for the bottling next week. 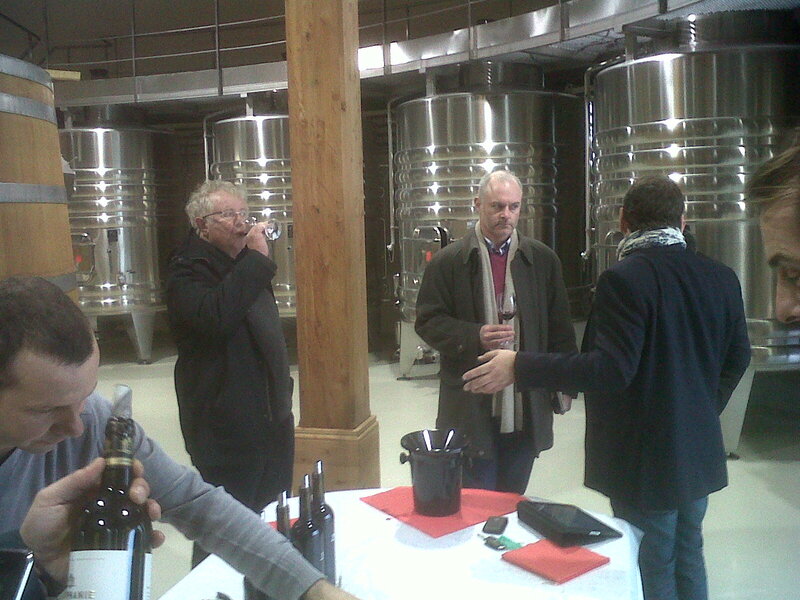 This afternoon we took a trip out to Chateau Tertre Daugay in St.Emilion to meet up with owner Alexandre de Malet Roquefort and visit the brand new cellars, which is home to our ‘L’Epiphanie Á Tertre Daugay’ wine. The last time I was here, all the barrels were in the make shift winery in the converted house and a huge crater outside was waiting to be transformed into the underground barrel cellar. The cellar is now finished and it is quite something, with the circular top cellar housing the wood and stainless steel vats; and the naturally humid and temperature controlled barrel room situated directly below, allowing the use of gravity to fill the barrels at the most fragile stage of the wine’s life. 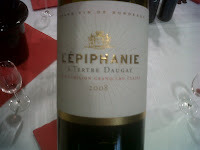 The tasting room is not quite finished so a table was set up in the winery where Tony, Henry, JMS and I tasted first the recently bottled ‘2008 L’Epiphanie A Tertre Daugay’ – a seriously rich and dense but fresh wine with lovely soft tannins; needs a bit of time though I reckon. Chateau Tertre Daugay and its Grand Cru vineyards are situated on the far west corner of the St.Emilion limestone plateau overlooking the lower slopes of St.Emilion and the Dordogne River. 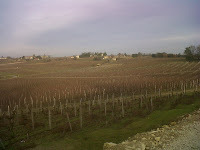 This relatively small estate has a complex and diverse terroir (as do all the other estates) with the vineyards being fermented and aged separately. 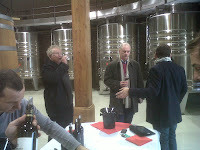 Tasting the wines from these plots made the second part of the tasting very interesting indeed. The differences found from one vineyard to the next – just metres apart – is mind-boggling, and shows just how hard it is to make (and remember!) each tiny property. 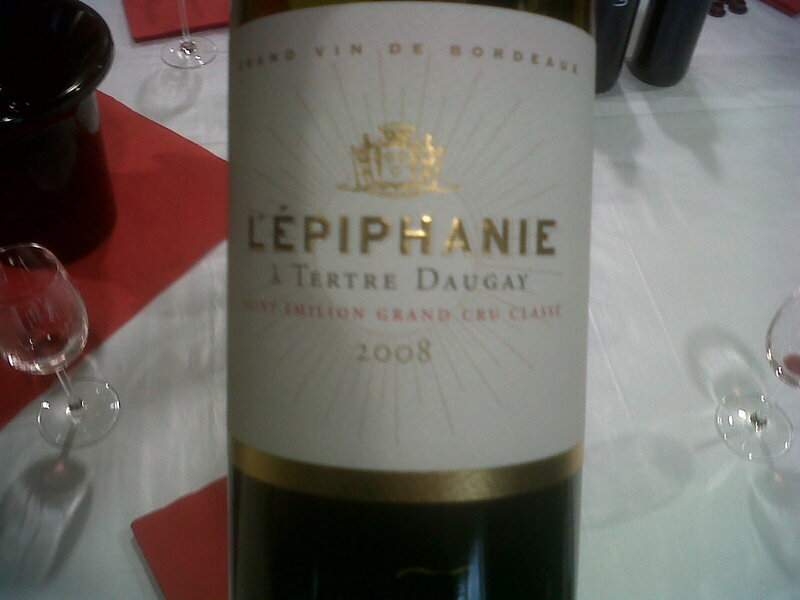 But this is exactly what makes winemaking so addictive! My notes on the 2009 vintage below from the different vineyards begin to show the individual characters that will be so important to making a truly magnificent final wine. Let’s see how these get on over the next couple of months! !